NBS postgraduate students were invited to explore Plant Oxford, the birthplace and heart of Mini production. Students were invited by Darren Smith, Regional Sales Manager at BMW UK and NBS Alumni Fellow, to explore the production lines of the iconic Mini. 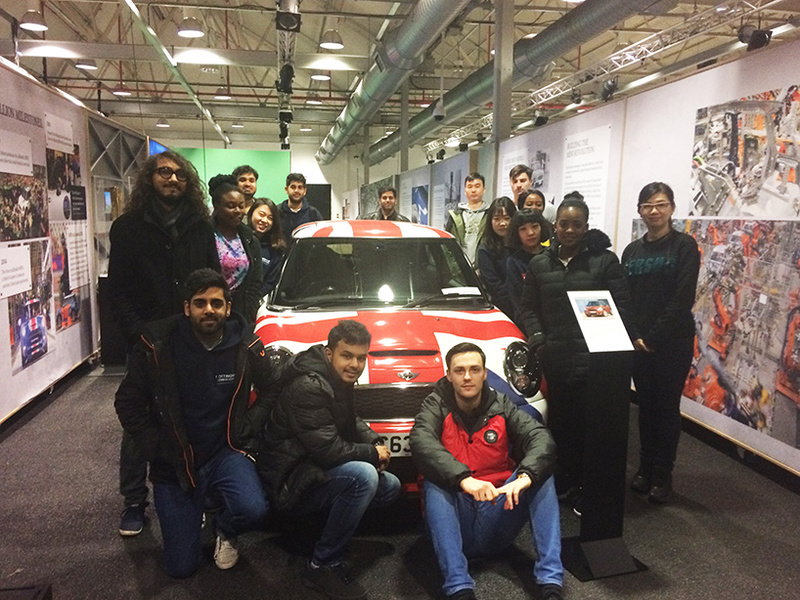 As part of the Strategic Operations module within the MBA and MSc Management and Global Supply Chain Management courses, students were invited to the BMW Mini factory in Oxford. Students were given the opportunity to see world class production facilities used by the car manufacturing company. The Oxford production facilities, known as Plant Oxford, is responsible for producing a thousand vehicles a day with three shifts a day on a five day operation per week. Plant Oxford is the birthplace and heart of Mini production. However, the facilities have come a long way since 1959 when the first classic Mini rolled off the Plant Oxford production line. The facilities have seen a huge investment bringing in impressive body shops with over 1000 robotic machinery applying thousands of spot welds to create the new Mini bodyshells. Favour Uzoma, MSc Management and Global Supply Chain Management students commented "The trip to BMW Mini was an amazing experience for me because it was an opportunity to see that the theories and principles taught in class were actually being practised in the business world. It was really exciting to interact with the tour guide using the same terms that didn't just sound academic but practical. These types of activities make my course more interesting and boosted my assurance of great job opportunities in the future." Nottingham Business School works to develop and maintain good relationships with alumni to share knowledge and expertise. If you are a NBS alumni and would like to share your experiences with our current students please visit the alumni opportunities page to find out what you can get involved in.